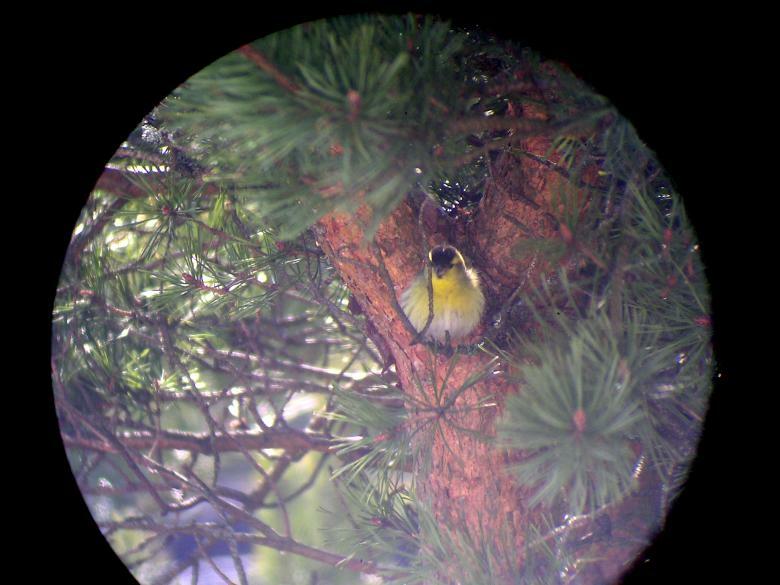 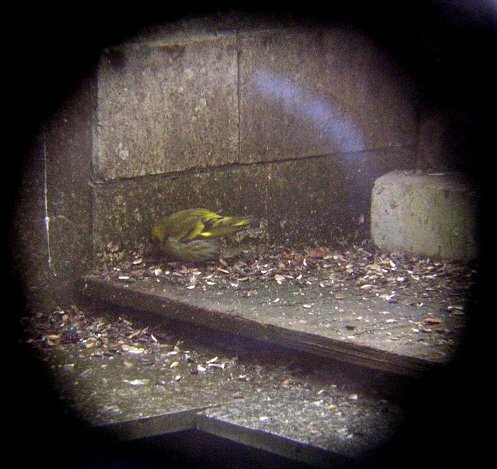 This photo shows a male Siskin with his black crown, unstreaked yellowish breast but heavily streaked lower flanks. 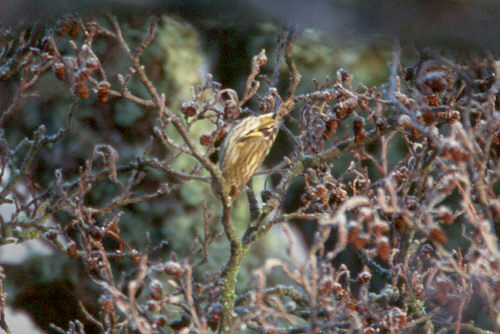 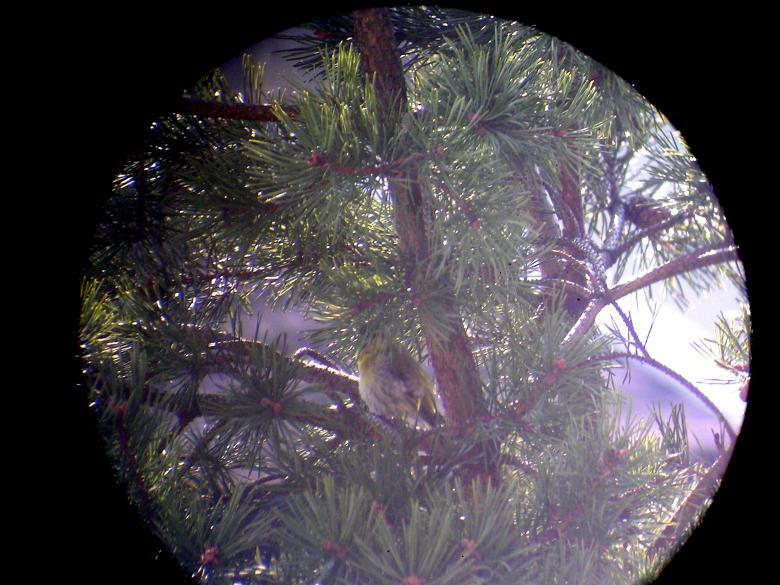 The above photo shows a female Siskin with her grey-green crown, streaked flanks and short, notched tail. 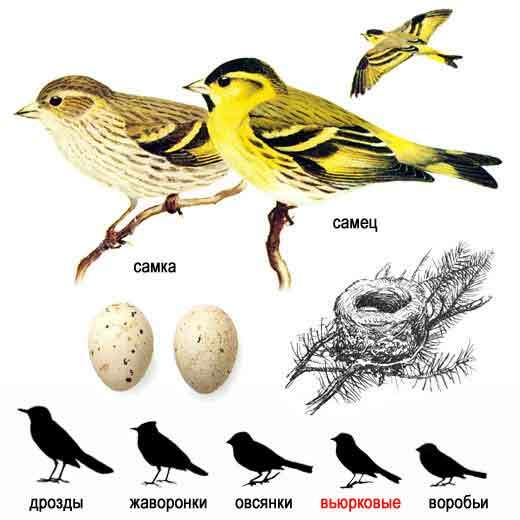 Both sexes have dark wings with a yellow wing-bar and distinctive yellowish edges to the wing feathers. 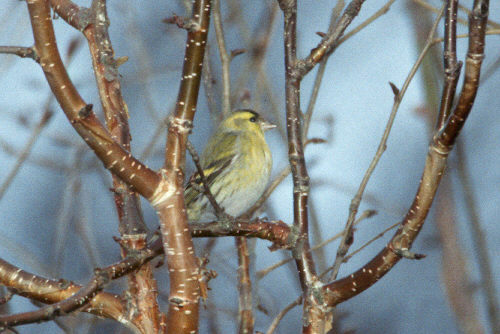 along with birch trees, provide a main source of food in the winter. 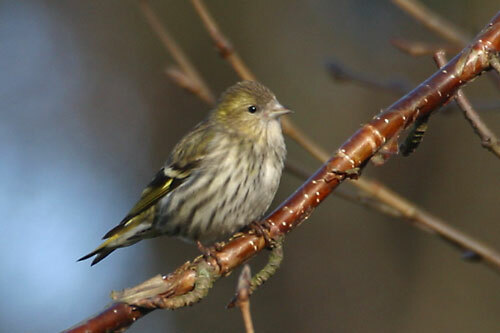 A Siskin (Carduelis spinus) arrived at our feeding place, but didn't feel too well. 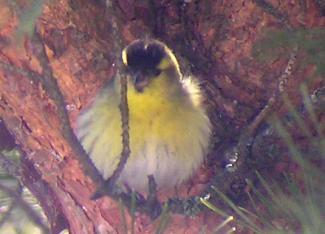 Another one in a nearby tree, looked much healthier.